You’re wondering what peposo is, right? Or perhaps you know what peposo is and you’ve already wondered how it ended up in a sandwich. If you’re like me, you may even just want to take a big bite of it right now because it’s dinnertime and it would be much easier to have a savory Italian sandwich magically appear instead of needing to make dinner. Oh, how I wish that might be so tonight. 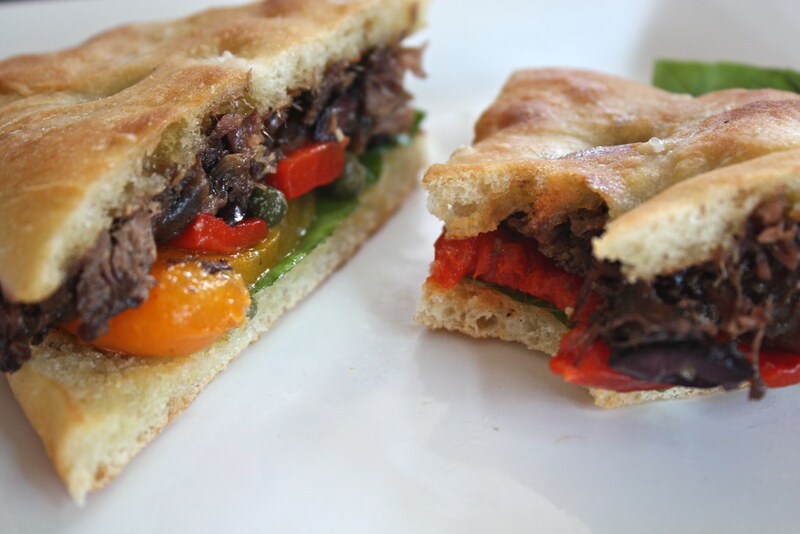 This sandwich has quite a long story behind it, so I’ll share it soon — along with the recipe for the peposo, the roasted pepper salad, and the focaccia. But it’s Wednesday, and I’m supposed to be wordless — or nearly so.